Android users, it looks like your wait for Super Mario Run could be almost over - Nintendo just uploaded a page on Google Play that lets you pre-register to get an alert when the game goes live. Maybe not as exciting as the actual game itself, but a sure sign that Nintendo hasn't forgotten about you, having promised all along that Super Mario Run would come to Google-powered devices. We're not sure exactly how long you're going to have to wait between pre-registering and actually getting your hands on the game, but on iOS there was about three months between registration and launch, so expect something similar. As on iOS, the first few levels can be played for free, and you'll need an in-app purchase to unlock all six worlds. And, as on iOS, a constant internet connection will be required to run the game on Android. 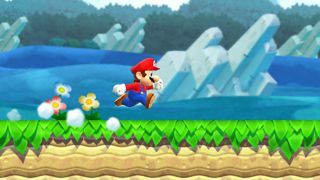 The graphics and gameplay look pretty much identical on the Android version of Super Mario Run, and the World Tour, Toad Rally and Kingdom Builder elements of the game are all present and correct. The game has certainly attracted a lot of attention on the iPhone, with over 50 million downloads, according to Nintendo. However, how many of those users actually paid for the full version or are still playing the game isn't as clear-cut.